In retaliation for American tariffs on Chinese goods, the Chinese government levied tariffs of their own on American soybeans, pork, and dairy in April. Prices for some American agricultural goods, like dairy, had already dropped by the time Trump announced the tariffs. CNBC reported in June that the number of American dairy farms had dropped by half since 2000, a trend that reflects reduced domestic demand and falling prices. Prices for soybeans have fallen too, as have prices on other animal products, like beef. More broadly, America’s small farmers have been struggling for decades, with agricultural monopolies controlling ever-larger shares of the market. But the crisis now looks more widespread, as tariffs introduce new economic burdens to farmers. As global demand dropped, many U.S. farmers were forced to let their crops rot in their fields. Thus, Monday’s bankruptcy news had the feel of inevitability to it — and it stoked fears of another farm crisis. During the last crisis, which unfolded during most of the 1980s, debt and depreciating land values contributed to record farm bankruptcies; more than 500 farms closed per week, as Civil Eats reported in September. That financial crisis beget other plagues. A 1991 study by the National Farm Medicine Center found that 913 male farmers died by suicide from 1980 to 1988, at a rate “nearly double the national average for white men in some of those years,” as the Associated Press explained at the time. Thirty years later, matters aren’t quite so dire for American farmers — at least not yet. 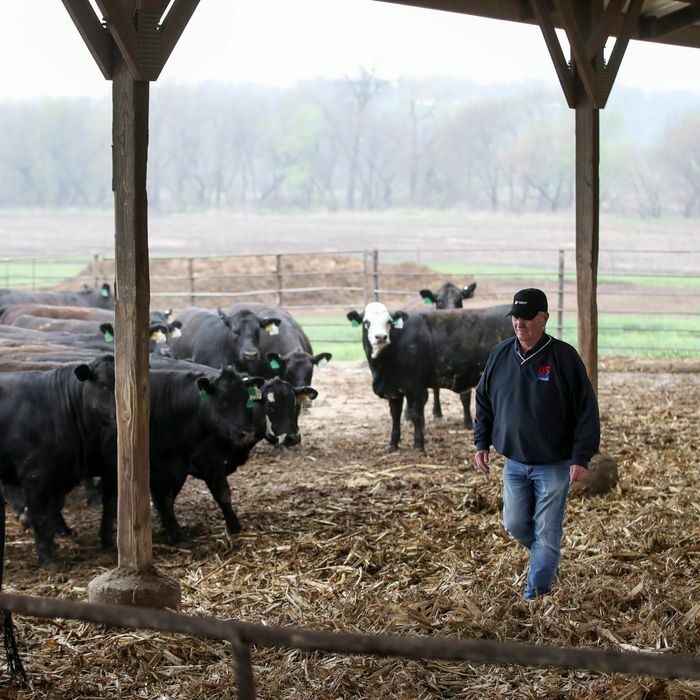 But Trump’s tariffs offer struggling farmers little hope for a more stable future. And despite his overtures to hard-hit farmers, that may hurt the president’s popularity with rural voters who haven’t forgotten the 1980s.